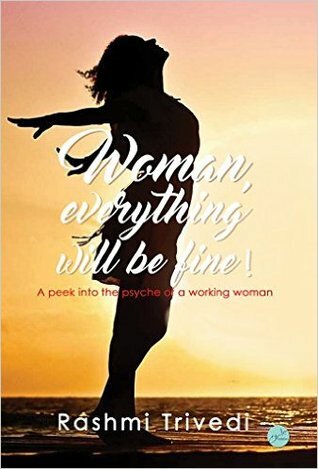 Book Review: Woman, everything will be fine! “Woman, Everything will be fine” is one of a kind book. It revolves around the life of a working woman and the challenges that she faces. We often see that that the issues that are faced by a woman who chooses to work post marriage, are quite different from issues faced by any other group. The book beautifully brings out challenges from the guilt of leaving kids to making a decision between family and work. Since the whole concept is present in a way of a story, it was the best thing the author could have done, as instead of overly focusing on one problem, we also get an idea as to how the protagonist manages the issue. Basically, this book revolves around a woman who gets transferred to another city and then has to make a decision of moving and living alone. Of the entire story, I liked the last few chapters the best. The chapter wherein the author describes the effect of the decision that she makes and how it changes herself as well as her family just took my heart away. The writing style was such that sometimes you find yourself laughing out loud. The only minor issue that I found in the book was it used a few generalized statements like women like shopping, or women readers would understand what I am talking about…which could have been avoided. All in all, a book that is unique and more importantly a story that should have been told a long time ago.